my apartment successfully smells of vinegar. let me rephrase that, my apartment reeks of vinegar and i have successfully made pickled apples. not that vinegar smells poorly, but if you have ever heated up vinegar before, you will remember that the aroma lingers for an incredibly long time afterwards. days even. this is not the point. 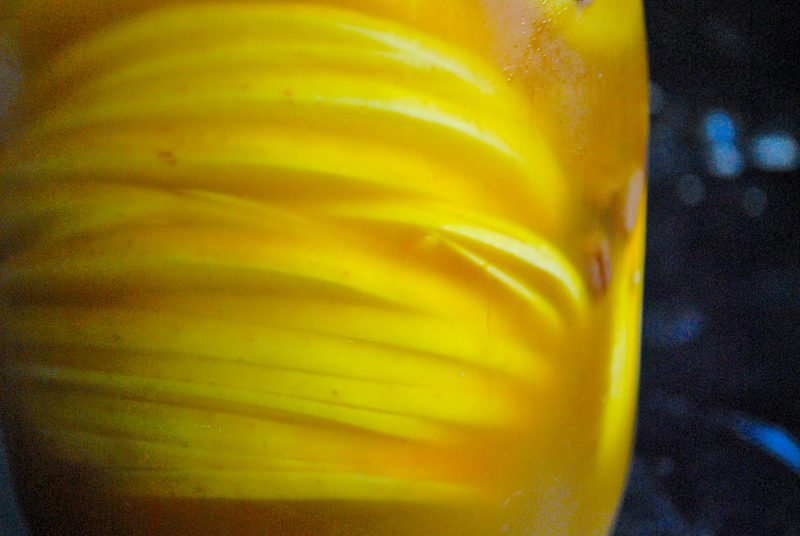 the point is, pickled apples are delicious! the first time i had pickled apples was at my favorite portland restaurant, ned ludd. i highly suggest you take a road trip to portland simply for the pickle platter at ned ludd. until then, here in seattle, i recently discovered that wonderful folks at essex in north ballard have created a pickle platter that rivals ned ludd's (pickled huckleberries! holy smokes)... now i have a local dealer for my pickle addiction. i'm on a recipe testing mission, organizing a menu for the next seattle underground market event on december 16th. you haven't heard of it? well it's a secret, so i don't blame you. but now that you know, tell all your friends to sign up for the "secret" event to get the "secret" details. what is it? an underground food market with 40-ish vendors (local home cooks, artisans, aspiring business owners and the like) who sell small bites for under $5. most dishes cost 2 or 3 bucks, so you get to go around to all the tables and try all sorts of fun foods! it's a blast and quite the culinary experience! the last event was a bit lacking in savory vegetarian options, so i felt compelled to throw my name in to become a vendor for this month's brunch edition market. i'm very excited about the little bites i will be offering, so be sure to stop by and visit me at my drumbeets table!! note, pickled apples will be on my menu. peel and thinly slice the golden beet into 1/8 inch rings. simmer beets submerged in 1 cup water in a small covered sauce pan until fork tender, about 30 minutes. remove beets and place into a quart-sized canning jar. add vinegar and sugar to the beet juice water and simmer until sugar is dissolved. let cool a bit while you thinly slice your apples into 1/8 inch rings. don't bother coring your apple, just tap the seeds out from the rings as you go. fill you jar with apple slices, raisins and spices and then pour in your vinegar mixture. 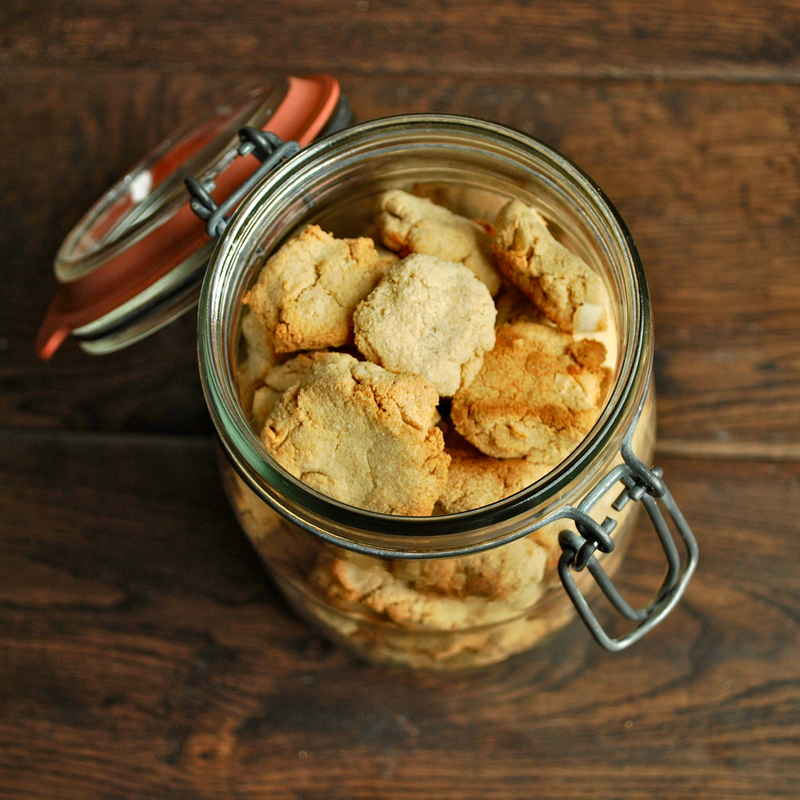 you may have a bit extra liquid, but be sure to submerge everything in the jar. refrigerate for at least 8 hours. the apples are best after 2 or 3 days - still crisp, but full of flavor. after that, the apples will get a little bit more mushy. great with spreadable cheese, hard cheese, or perhaps as a garnish to a meat or fish entree. come visit me on the 16th! look for the girl with the veggie tattoos... just be sure to sign up online for the event so that you receive the secret location details!! a confession: i eat meat. it's been a slow and constant evolution. meat slowly phased out of my life about 10 years ago. there were long stints of strict vegetarianism, broken up by travelling abroad where i refused to pass up on any new food experience (yes i will eat bastilla with pigeon in morocco and kebabs of bull testicles in cairo. you bet!) ... there were short periods of challenging myself to be vegan or raw vegan. the last few years i have been enjoying small amounts of seafood. and more recently the occasional 'portlandia' grade meat. but up until this past sunday, i would still tell people i was vegetarian. not a lie, just a cop-out response to a long-winded reasoning. sunday was my tipping point. on a whim, i signed up for a five-hour butchery workshop at dot's delicatessen. the backstory: my friends heather and travis of 41 legs urban farm have been raising a pig in the city limits of seattle. they have chickens and ducks and rabbits and this pig named babette. a massive pig, over 300 pounds, who recently reached slaughtering weight. being their first pig, travis and heather teamed up with farmstead meatsmith to learn how to slaughter babette. a heavy and intense process in every sense. i will spare the details and warn you now that the rest of this blog post is far out of my vegetarian food blogging comfort zone and may be out of your comfort zone too. but personally, the workshop was absolutely fascinating and inspiring. so much so that i feel the need to share it with others. the opportunity to observe the butchering of an animal that was slaughtered a few miles away less than 24 hours prior was unique and hugely valuable. sharing the experience with the couple who raised the pig and seeing their range of emotions was intense and powerful. knowing every detail about this pig and her life and what went into raising babette adds a whole new level of appreciation for the final product. what i originally thought was going be to horrific and traumatic, was overridden by a sense of fascination and awe. the weight and size of the animal and the amount of sweat that goes into butchering her impressed me. the anatomy fascinated me: the clear distinctions between different cuts of meat - fat, muscles, tendons, it was all so apparent... observing skillful butchers work their way through one half of a pig at a time, utilizing every bit of of flesh and bone, made me trust that babette was in the right hands for the right reasons - without question. a statement i realize many vegetarians would have issue with. but we all have our different reasons for vegetarianism. 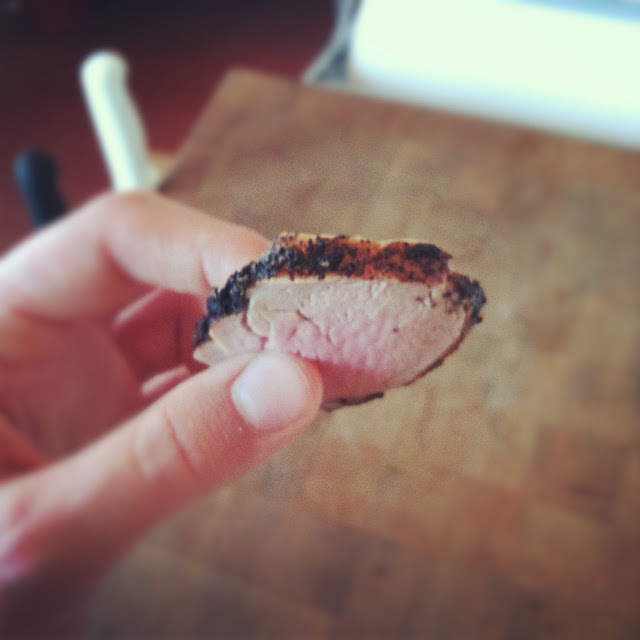 and i can't replicate in words the feeling of standing next to friends and sharing a plate of meat from the pig they raised from piglet to pork, watching their emotions with each chew, and enjoying the flavor and texture of pork tenderloin rubbed in coffee grounds and broiled to perfection. it just felt right. but don't worry. i have no intention of blogging about meat. yet. don't quote me on that in 10 years when i have my own urban farm and a pig. i regret not brining my real camera, but instagram will suffice for those of you who wish to view the images. warning: they are a bit intense for the vegetarian eyes. yesterday was a day worth recapping in detail. it was by far, the most food-geeky day i have ever had. which is a rather impressive statement. 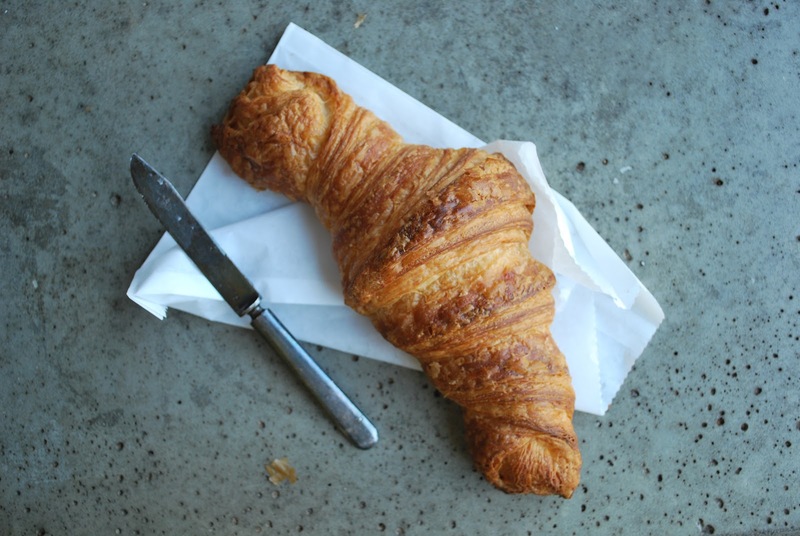 it began with a light hang over, cured by the wonderfulness that is created at the honore bakery in ballard. after standing in their usual line of people out the door on a weekend morning, i sat in their little courtyard out back (my best kept secret that i totally just gave away!) and drank a creamy soy latte and munched on their spicy cherry bomb quiche and a salted caramel coconut macaroom while reading a gastronomica article on feminism and blogging. if you have not been to this bakery. go. right now. actually, they have limited hours, so make sure you go when they are open! and buy a croissant. after breakfast, i went next door to the pantry at delancy, which i've mentioned before, for a six-hour food photography workshop. walking into the pantry, i felt a sense of nervous energy like it was the first day of school. i was brimming with excitement and unknown expectations. the class was taught my the wonderful duo behind the blog 'not without salt' ... gabe and ashley rodriguez. i've never had any formal photography training. i've been poorly self taught, fumbling with lighting and aperture and not knowing what i was doing, only what i was going for. so for the first time ever, someone explained to me the workings of a camera. we talked about lighting. composition. staging. editing. it was fabulous and so much fun to work alongside a bunch of other foodies with cameras. 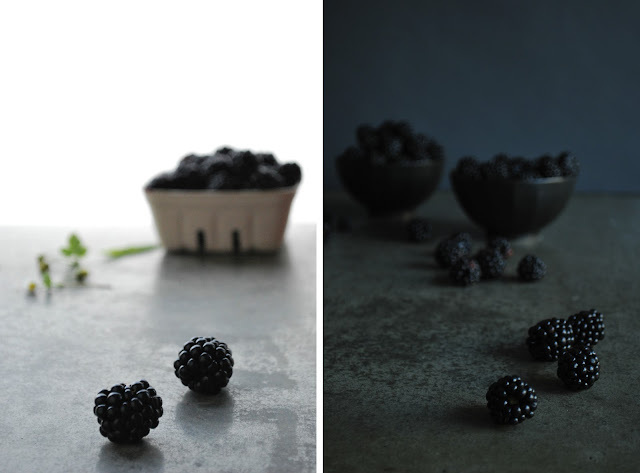 i am incredibly proud of the photos that i shot. before i depended heavily on editing, these photos are original shots. no editing what so every. just an image created by a camera. magic. but wait there is more. my food geek day continued on... i tagged along with ashley and gabe who were headed over to book larder, seattle's only cookbook store, to visit their friends and my idols: sara and hugh forte of sprouted kitchen! they were in town doing a book signing for their new cookbook. which you should buy. i got to pick hugh's brain about his food photography style and chatted a bit with sara who shockingly had read my blog! major ego boost of the day. yes. i love days that inspire me. so energizing and refreshing. they keep me motivated. redirect my energy and creativity. it's days like these that i live for. as the poster on my fridge says: "my kitchen versus the rest of the world"
i love the word deviling. it sounds dangerous. let me go back a few weeks to a brief restaurant review of bitterroot bbq in ballard. being mostly vegetarian, i am not one to usually go to a steak house or bbq pit. 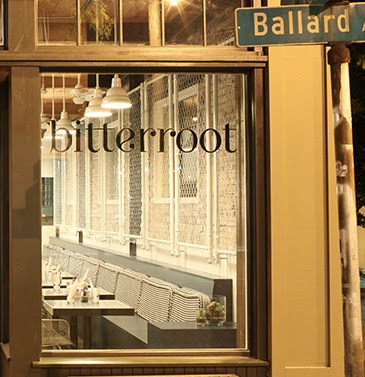 but bitterroot's woodsy and charming interior drew me in while walking through ballard one day. their menu features local meats, house-made sauces (mustards, bbq sauce, even the ketchup...), killer corn bread and other fun bar food and grilled goodies. i had a simple greens salad piled with a grilled peach filled with oozing blue cheese. i also enjoyed my first ever pickled egg. what?! 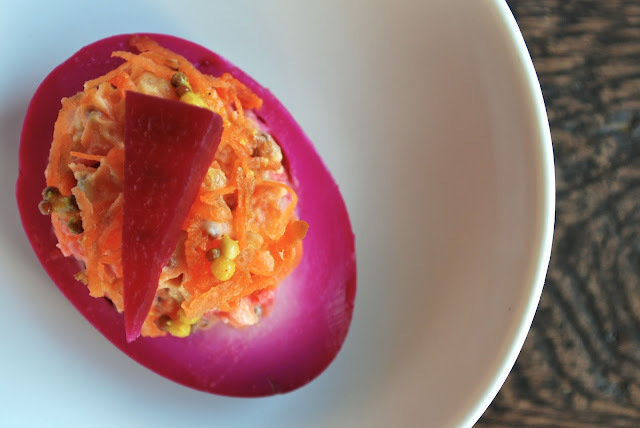 it was firm, dyed pink from beet-pickling juice, and deviled. i love deviled eggs as you might remember. it was stunning and worthy of replicating to perfection. anyhow, it was a fun meal - bitterroot's power kept going out due to a heat wave in seattle, and the music and lights would randomly shut off and on followed by drunken cheers from the bar when the music picked back up. hilarity. these recipes are simple. just a bit time consuming. but oh so worth the efforts. bring prepared beets to simmer in one cup of water in a small sauce pan. simmer for 20-40 minutes (depending on size of beets) until fork-able or your to the texture you prefer. remove beets from sauce pan and place in a large mason jar. adding vinegar, sugar and salt to beet juice and simmer until disolved then remove from heat and let cool. in the mean time, in a different pot, place 6 eggs under a few inches of water. bring to a gentle simmer and then remove the pot immediately from the heat. cover with lid and let sit for 10 minutes. when finished, poor off the water and fill the pot with cold water and ice to chill the eggs. once cool, gently peel the eggs and place in the jar with the beets. cover with pickling juice and set in the fridge for 2 days. the color will start to set in after about one day. 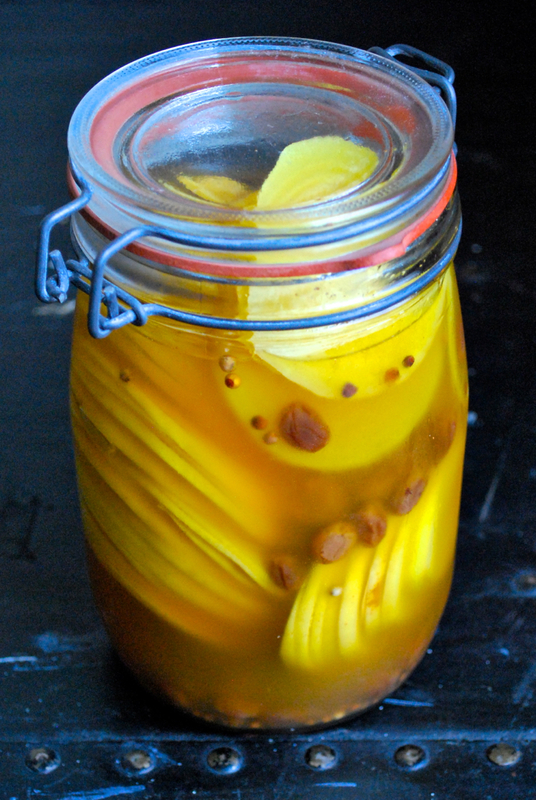 they look most impressive after 2 days of pickling. after 4 days the yokes will start to turn pink too, which takes away the beautiful contrast in colors. 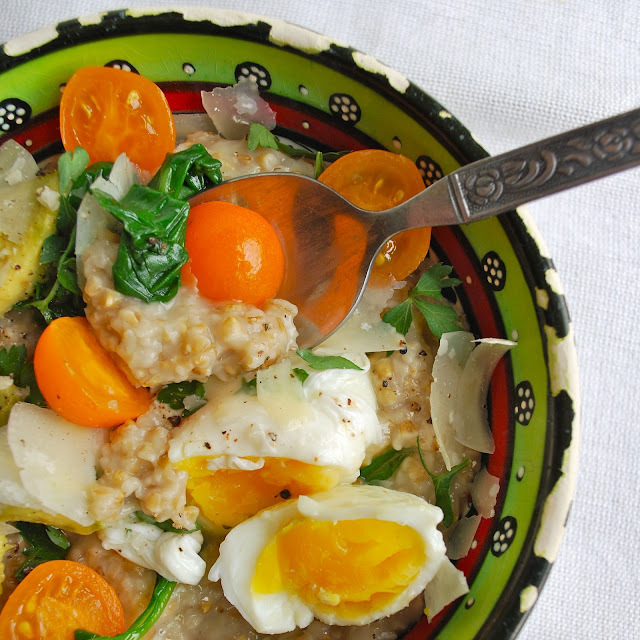 cut in half, remove yolks and place yolks in a small bowl. add a spoonful of greek yogurt or mayo. 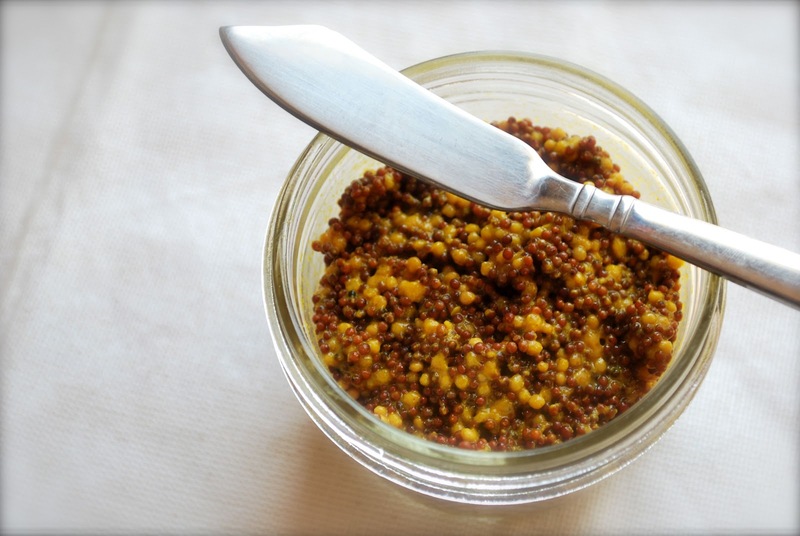 a spoonful of grainy mustard. vinegar, salt and pepper to taste. add shredded carrots to the mix if you like to add some crunch and texture. spoon the yolk mixture back into the eggs and top with a sliver of the pickled beets from your jar! delicious. combine well and place into a mason jar. let sit for at least 24 hours, stir at least once. this mustard is pretty intense, but i love it. add herbs or onion if you like, or more honey too 'cool' down the flavors. 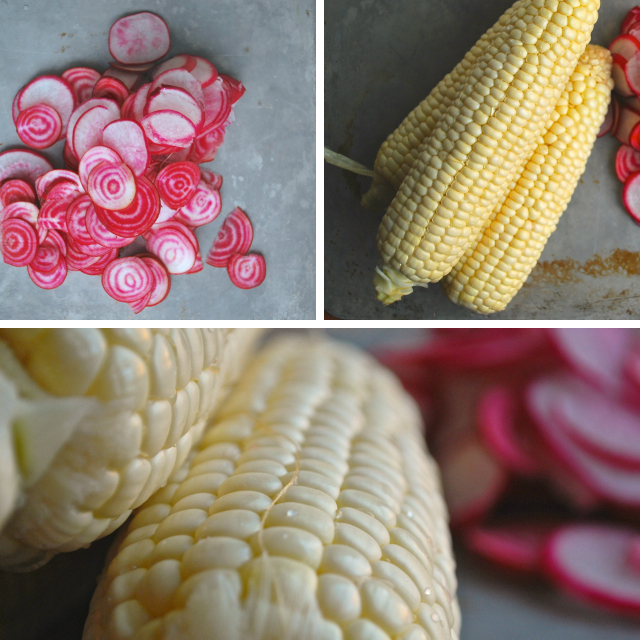 summer is such a wonderful season for culinary inspiration. here in the northwest our markets overflow with summer produce. options besides our year-round root vegetables and kale! hurrah! don't get me wrong, i love my root vegetables and kale. 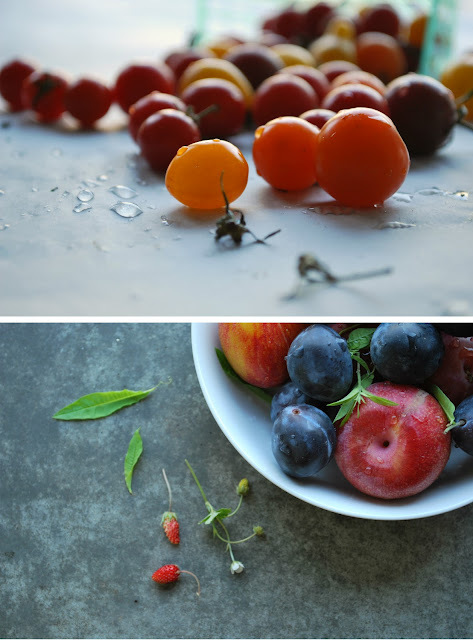 but there is so much more inspiration to be drawn from fresh herbs, summer squash, tomatoes and fruit! yes, fruit!! 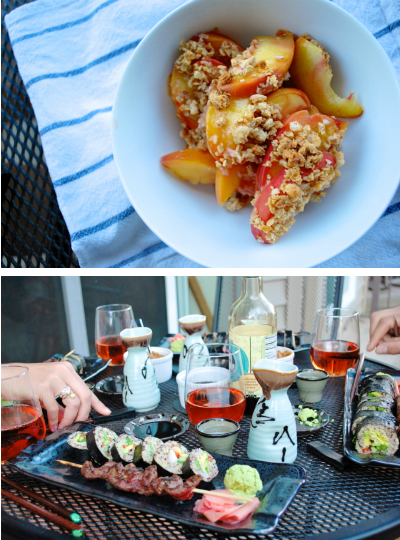 so despite how nice it may be outside (or how warm it may be in my kitchen) i'm often in my kitchen testing new recipes and recreating old favorites all summer long. here are three new recipes that i adapted and developed for a guest post on 'good food life' - full circle farm's wonderful food blog! check it out here for the full recipes! 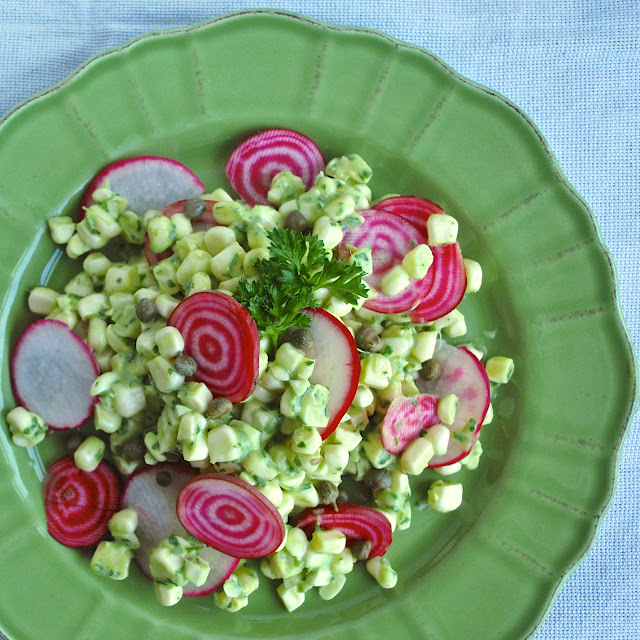 these recipes are great for your summertime picnics and potlucks! enjoy. 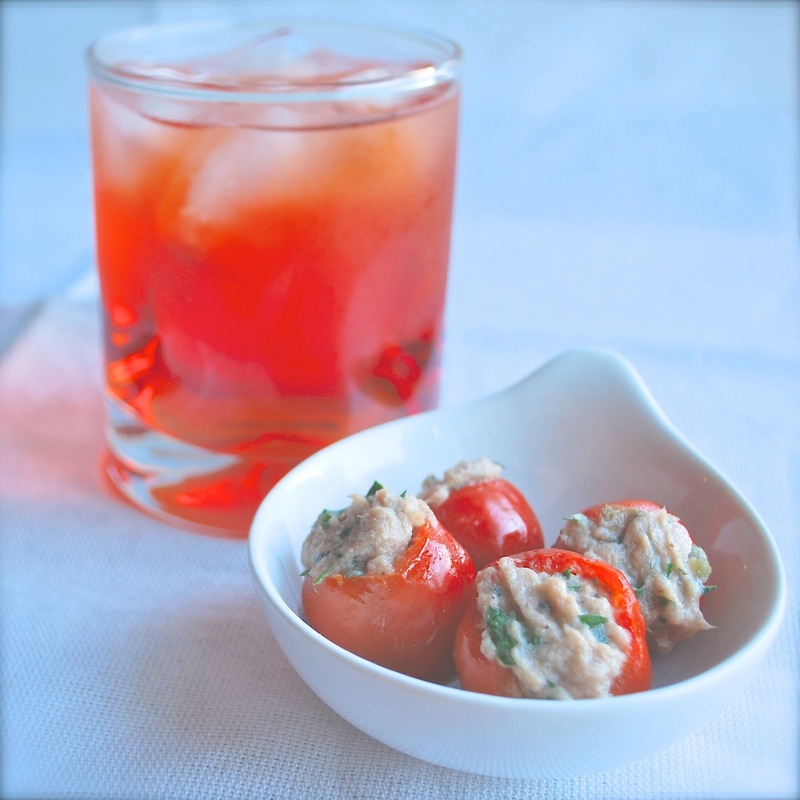 peppadews come cored out already, so all you have to do is simply make a tiny tuna salad with remaining ingredients (simply done in a food processor or by hand with a fork) add the oil from the tuna to the mixture to get a smoother consistency. add more oil if needed. stuff the peppers with the tuna salad using your fingers or a tiny little baby spoon. drizzle with a little more olive oil and serve chilled. my family spent the remainder of our week together in lucca - an ancient walled city in the heart of tuscany. we stayed in an amazing 14th century bed and breakfast with lovely breakfasts of soft boiled eggs and cured meats along with bowls of fresh fruit. 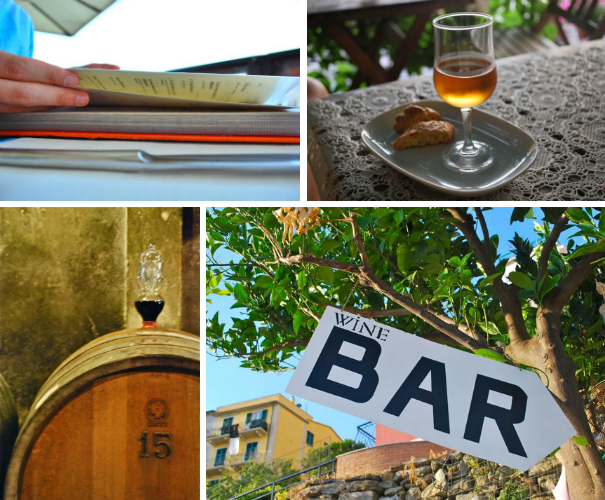 from lucca, we took a day trip out into the tuscany farm land to visit our hosts' friend's winery, fattoria maionchi. there, we had our own private tour of the vineyards, cellars, and a tasting of all of their wines. leaving rather tipsy, we made our way on to another fattoria (farm) for a light lunch of tuna stuffed peppers and wild boar pasta. it was everything and more that i imagined tuscany to be. there are too many amazing meals of pastas, gnocchi and wood-fired pizzas to describe in full detail. but i will mention some of the highlights and describe some of the smaller bits of pleasure we enjoyed. perhaps my favorite things were antipastis - appetizers... the cheese and meat plates, piles of prosciutto over melon slices, smoked local fish, orange-pine nut gelato and tart yogurt gelato, limoncello liquor made from the zests of lemons grown in moterosso, or lemon juice slushies to cool off after a day at the beach, macchiatos and biscotti and many many aperol spritz. after a week of travel with my family of four, i made my way to milan to pick up jonathan. from there, we hopped straight onto a train to lake como where we took a ferry to bellagio. 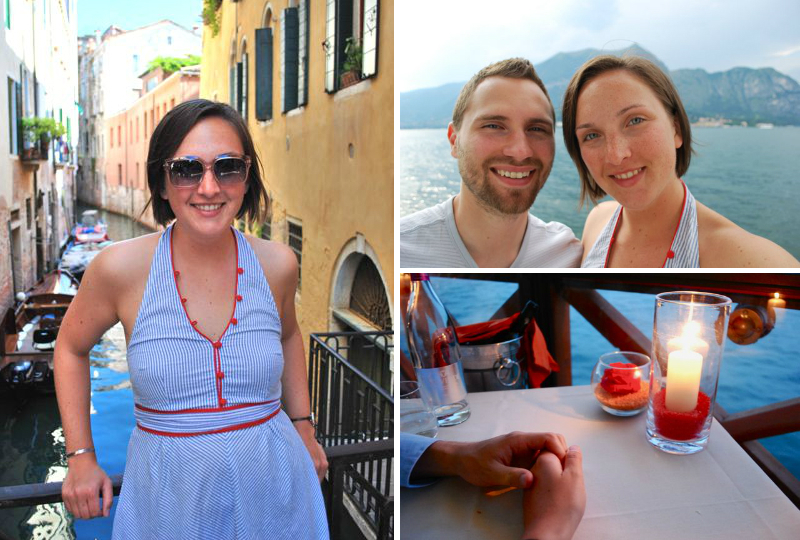 it was wonderful to slow down our pace, relax and just enjoy the small, quite little town of bellagio. eat, drink, nap, sun, gelato, eat, drink... this cycle went on for 3 days, intermixed with little ferry trips to other areas of the lake. we had some wonderful lake front meals, but i think my favorite evening was spent sipping hot chocolate and macchiatos and munching on cookies while watching the nightly thunderstorms. still warm and pleasant when under cover, but rain and lightning would hit the lake each night around 9pm. magnificent! after lake como, we took another train to venice. gorgeous as it may be, the city is overflowing with tourists and trash. we woke up at 5 in the morning on the second day just so we could go walk the town for a few hours before all the other tourists woke up. it was amazing to feel like we had venice to ourselves, but we did see a lot of trash and a very small, overworked crew of street cleaning folk. you would think that with all the money coming in through tourism, the city would reinvest into keeping the city clean and enjoyable. 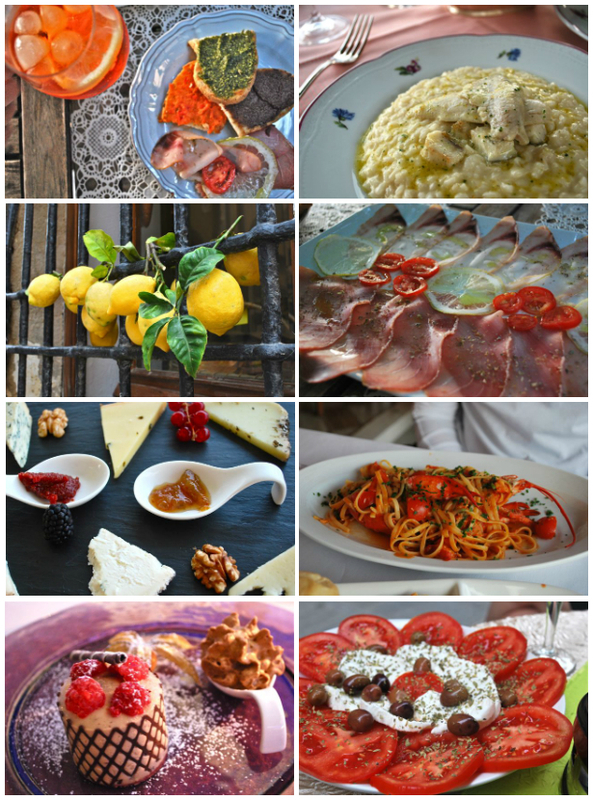 my other gripe, was that of all the places in italy i was shocked that venice had the worst food. perhaps it's simply because there are just too many tourists and that is who these restaurants cater too. 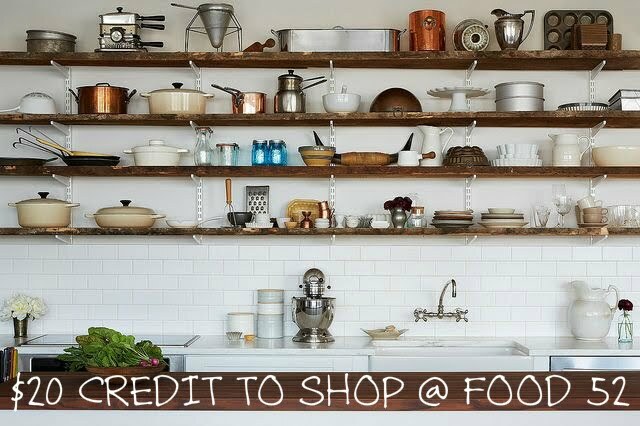 or if you do want to find quality food, you will pay a hefty bill. and we did exactly that. we splurged on a mouthwatering, four course meal at the waterfront restaurant of linea d'ombra, one of venice's most romantic and creative restaurants. their inch-thick wine list was rather intimidating (picture above), but our server kindly guided us through our selection process to a locally produced pinot grigio that paired lovely with our seafood-rich meal and cheese platters. our other foodie highlight in venice was visiting harry's bar for the original bellini. a simple drink of white peach puree and prosecco, bellinis are famous all over italy and originated from this funky historical bar in venice. our meal there was overpriced (good grief!) but we were happy to sit and cool of in the bar, sipping our bellinis for a few hours to escape from all the hustle and bustle of the thousands of tourists just outside the door. 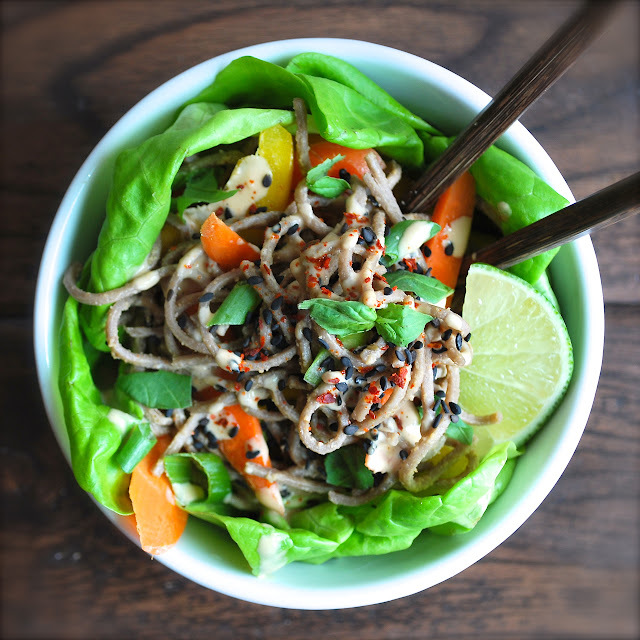 this bright thai flavored dressing is one of my all time favorites. 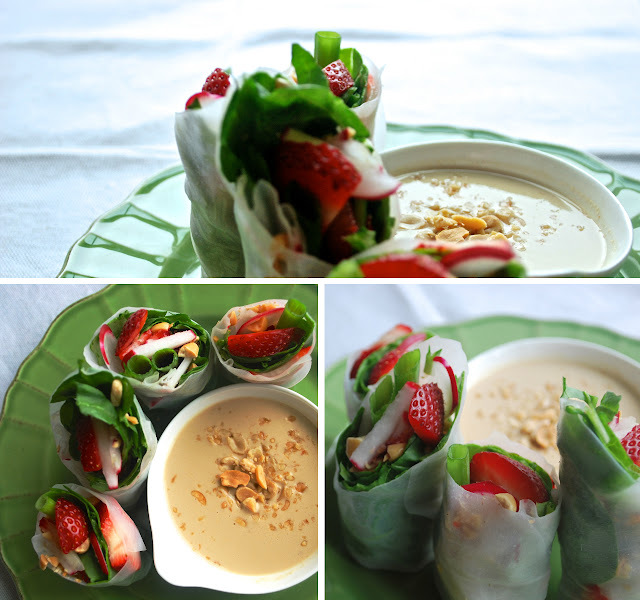 its scrumptious over soba noodles, salads, raw vegetables or accompanying a fresh spring roll... there are so many possibilities. i've make it thick like a sauce for grilled meats and vegetables or on a stir fry like this one. but i also love throwing together the same flavors with a bit extra coconut milk, making it a bit more dressing-like. 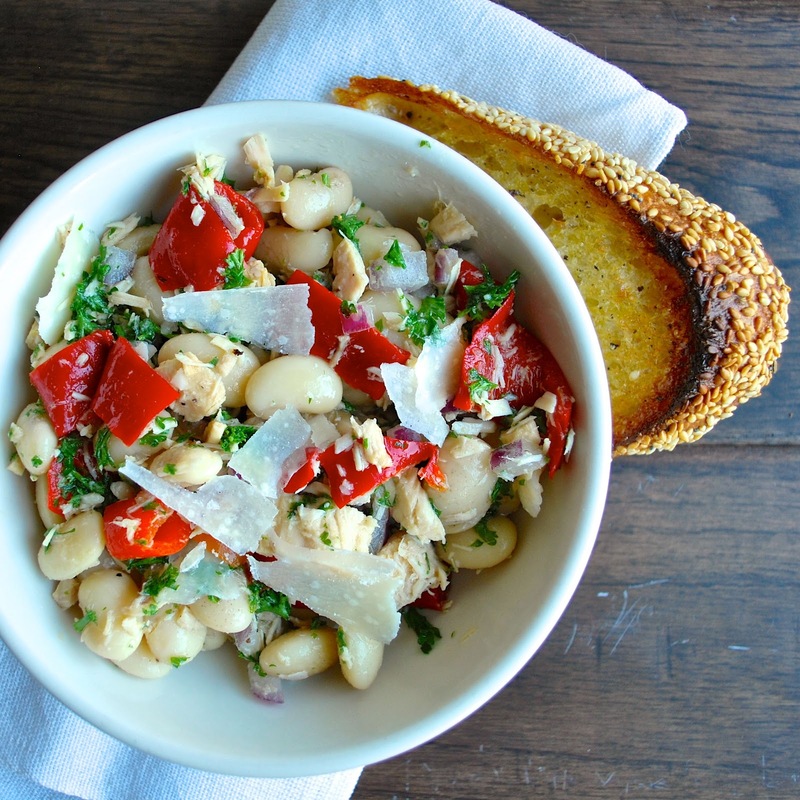 since this recipe makes enough for several meals, i used it for a couple different dishes. my favorite of which involved fresh strawberries. enjoy! in a blender or food processor, mix equal parts natural peanut butter with coconut milk (for 5-6 people, i did 3/4 cup each). blend in 2 cloves of raw garlic, a teaspoon of grated fresh ginger, a few tablespoons of soy sauce, and the juice of one lime. add heat with chili flakes if you like your noodles spicy. soak each rice paper sheet in hot water. try to keep them flat in the water. remove from water once they have become pliable and set onto a clean towel as your work surface. pile ingredients in center and roll them up like mini burritos. try to pack them tight especially if you want to be able to cut them in half to share. serve with a side a peanut dressing for dipping! boil a large handful of buckwheat soba noodles for about 6 minutes. drain and cool completely with cold water, mixing with your hand. if you let your noodles sit out for a while while you prep everything else, you can run some more water over them to shake them loose later. once they have cooled, thinly slice or grate 2 large carrots into a large bowl with the noodles. 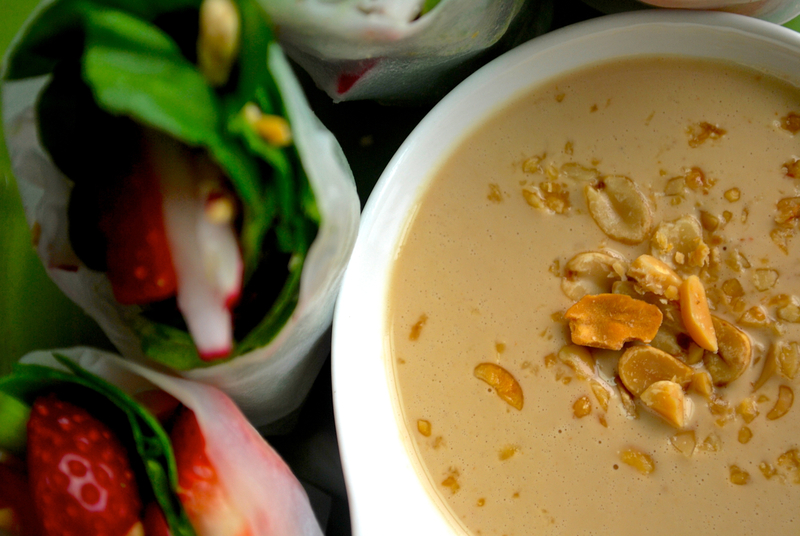 thoroughly mix in the peanut sauce - easiest to do with clean hands! 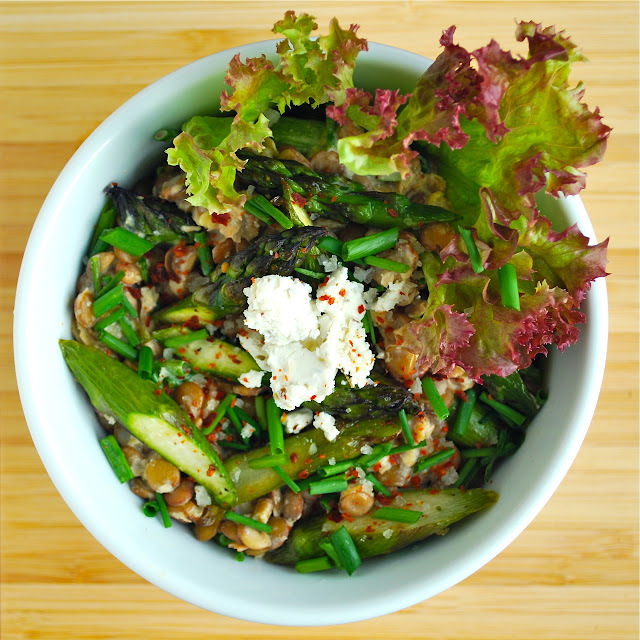 to assemble, pile noodles over greens or sprouts, and top with thinly sliced peppers, sliced boiled egg, black sesame seeds and chili flakes. you can either eat these like a salad, or fold it all into a cabbage leaf and eat it like a wrap! a personal note: i will be out of the country from july 2-15 for a vacation to italy. i can't wait to come home and share my foodie adventures with all of you as soon as i return. for now, enjoy this extra long post until my return! italy!!!! the weather in seattle has finally warmed up a bit. enough so that i broke out my popsicle molds. yes, thats right, i own popsicle molds. drawing inspiration from an upcoming trip to italy, i wanted to create a nutella-flavored fudgesicle without the extra fillers. hazelnut-chocolate is an ideal combination, but nutella packs in a silly amount of extra sugar and oil to their product (the main ingredients are sugar and oil... oy!) does that stop me from indulging every once in a while? no. but for my home-made fudgesicle, i envisioned a lighter version made from toasted hazelnuts, cocoa powder ground from raw cocoa nibs and blended with bananas and almond milk. the fudgesicles turned out wonderful! the bananas give them a custardy texture, and the almond milk adds a perfect creaminess. i made a few with whole hazelnuts dropped into the mix - those were fun to eat, but the ones without nuts were a bit more classic. if using a high-power blender or food processor you can get away with blending all ingredients together instantly. if your blender can't quite take on whole nuts, simply use hazelnut butter for a smoother texture. 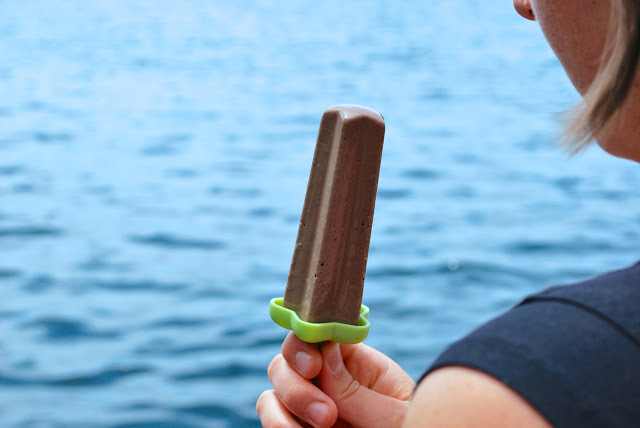 a vitamix works best, as you will get a very creamy texture for your fudgesicles. add more almond milk if the mixture is not quite incorporating fully. the final texture should be like a thick smoothy. scoop into popsicle molds, or into small paper cups with a popsicle stick in the center of each cup. freeze for at least 3 hours. 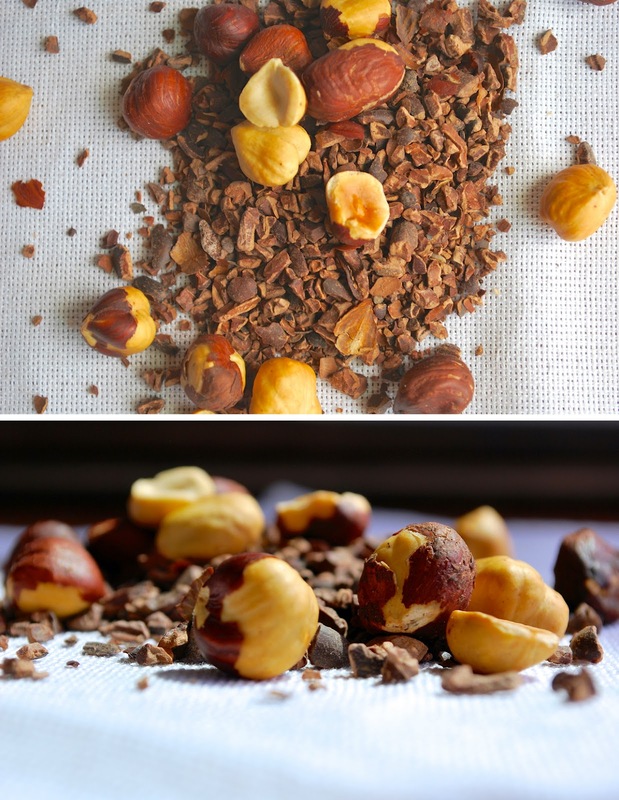 feel free to add whole or chopped hazelnuts to your pops for a fun extra little crunch. another great dessert idea: follow the same ingredient list, except freeze your bananas first. blend together until you have a soft-serve ice cream texture and eat as is! just as delicious as the fudgesicles! it's now supposedly 'summer', despite what seattle's weather report says. nevertheless, i keep hoping that my favorite fruits and vegetables will soon make their first appearances at the farmers market. 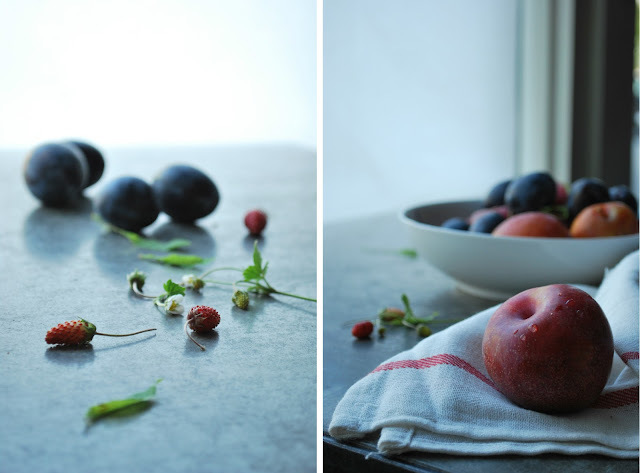 i can't wait for fresh washington berries, apricots, plums, summer squash, peppers and tomatoes. i can't wait!! patience, aubrey, patience. instead, right now, there are leeks... intimidating, huge, time consuming, dirt-filthy leeks. oh, did i fail at making them sound appealing? well, let me add some butter, garlic, thyme and white wine. ah ha! 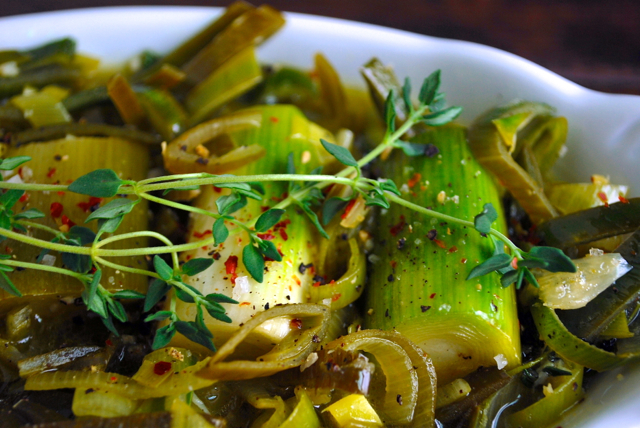 now, leeks sound delicious. preheat oven to 350. trim the ends of the leeks, and separate the white stalks from the leafy green sections. cut the white stalk into 2 inch long chunks. if there is any schmuck in the stems, gently rinse with running water but try to maintain the shapes. take the greens, split down the middle with a knife and separate the leaves so that you can thoroughly rinse each leaf. then pile them all up and finely chop them (about 1/4 inch thickness). skin and crush your garlic and de-stem all of the thyme. heat a large skillet or sauce pant to medium heat, add butter and olive oil, and fry your garlic and thyme until the garlic takes on a very light brown color. do not overcook, otherwise the garlic will turn bitter. add all of the leek greens, and toss to coat. remove from heat. to assemble, take a 9x9 baking pan (or larger if you are doubling the recipe for a crowd). make a layer of the leek greens mixed with garlic and thyme. tuck in the leek whites - i like to keep mine in neat little rows. pour over with wine and vegetable broth. you want the leeks to be half submerged with liquid, so if you need more liquid, just add at a ratio of 1:1. season with salt, pepper and a pinch of chili flakes if you wish. finally, take a sheet of parchment paper and trim down to fit perfectly inside of your baking pan. this will act as a layer to keep the leeks from browning but not steam as they would if you put a lid over the pot. this layer will help you retain your liquids a bit more so that you are left with a delicious white wine sauce to spoon out over your leeks and whatever else you might be serving along with your leeks. bake at 350 for 30-40 minutes, or until all sections of the leeks are fork tender. test a bite of the greens to make sure they are soft and not too chewy. once finished, test for seasoning. add more salt and pepper if you need. garnish with a few sprigs of fresh thyme. 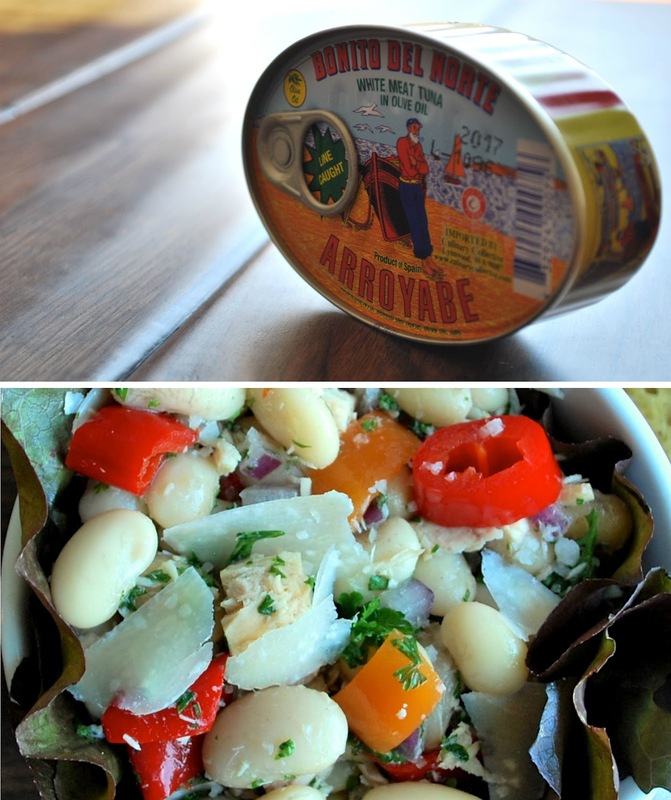 this is great alongside meats, potatoes, toast and eggs, or over a bowl of warm grains! something you should know: when you combine soft goat cheese with hot lentils, it creates a delicious creamy sauce. add some lemon zest & juice, a bit of spice and you have a very bright flavored lentil dish. this recipe is very adaptable - you could use different colors of lentils, or include different spices or herbs or different seasonal vegetables. you could serve it chilled (as i prefer) or warm. but the base, that delicious goat cheese sauce over lentils, is something you must try! * this is an excellent picnic food. preheat oven to 375. bring 3-4 cups of water to boil. do not add salt to cook lentils. in the mean time, mix together chevre with lemon zest, garlic, chili flakes, salt and pepper. brown lentils take about 20-25 minutes to cook in boiling water. but adjust your cook time depending on the type of lentils you choose to use. do not overcook! 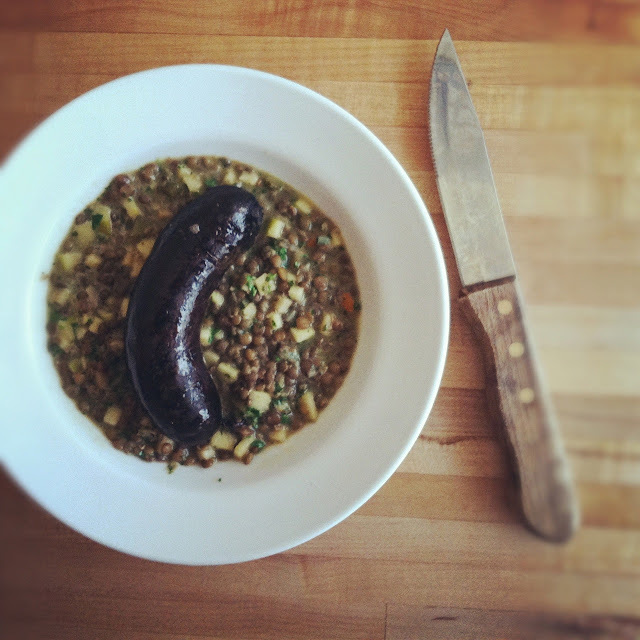 you want the lentils to be able to hold their shape in the salad vs. a dahl-like texture. strain and place the lentils into a large mixing bowl. right away, add your zesty goat cheese and gently stir until the lentils are nicely coated. let cool completely. prep your asparagus spears - wash, trim, slice - as well as your shallots. 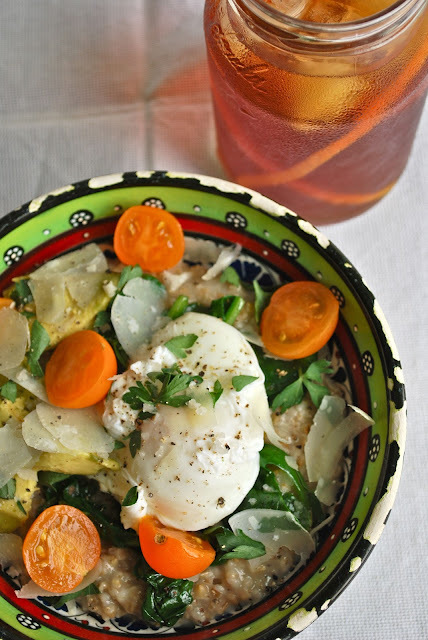 toss vegetables with a drizzle of olive oil, salt & pepper. roast in a pan, tossing every few minutes, until the asparagus is just fork tender then remove from oven and let cool. in a smaller bowl, mix together lemon juice, olive oil and mustard. toss this dressing with your roasted asparagus & shallots once they are cooled. 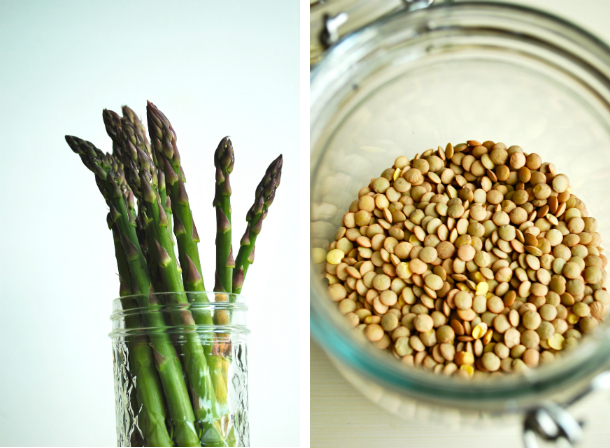 to assemble salad, mix together your creamy lentils with the saucy asparagus and shallots and top with fresh herbs. season to taste if more salt is needed. 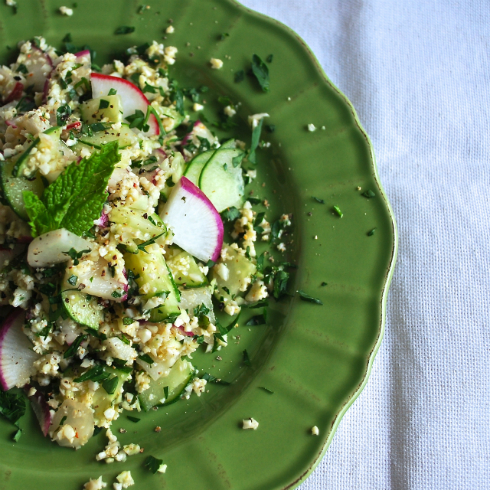 serve in pita bread, on greens or as a side dish! micro greens are seedlings. greens, just beyond the stage of sprouts. they grow quickly and require little space, and are sold at a rather high price. so a place like 'our school at blair grocery' in new orleans - a community agriculture training center - found micro greens to be a highly profitable product to sell to the high-end local restaurants in downtown new orleans. 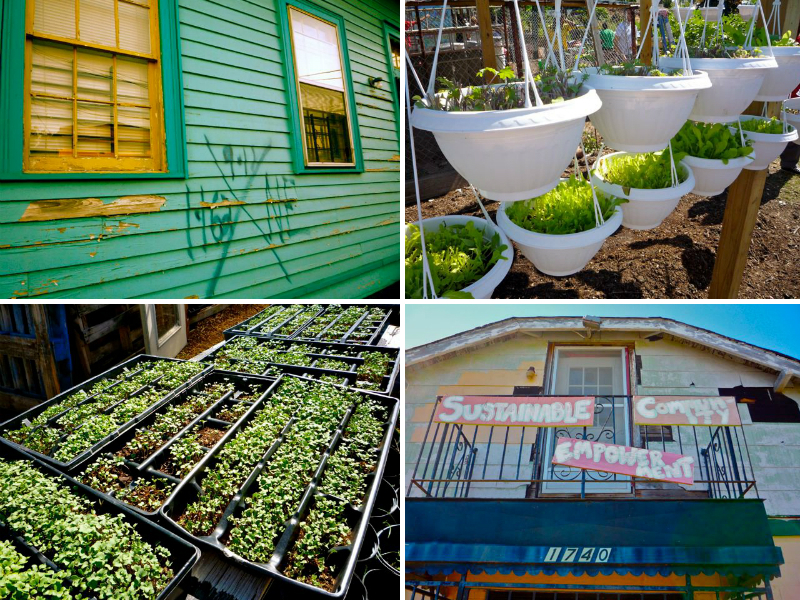 i had the opportunity to visit and volunteer at the blair school while attending the community food security coalition's annual conference in new orleans in 2010. such an amazing project they have going there! if you ever travel to nola, take a look at the list of restaurants the blair grocery delivers their produce to. (it will be a great place to start when there are so many options for restaurants in that city. whew. food overload!) anyhow, now whenever i eat microgreens i think of new orleans. and now for the recipe... this salad was inspired by a recipe from one of my favorite jamie oliver cookbooks crossed with a salad i had at uneeda burger in fremont (i highly recommend this burger joint!) 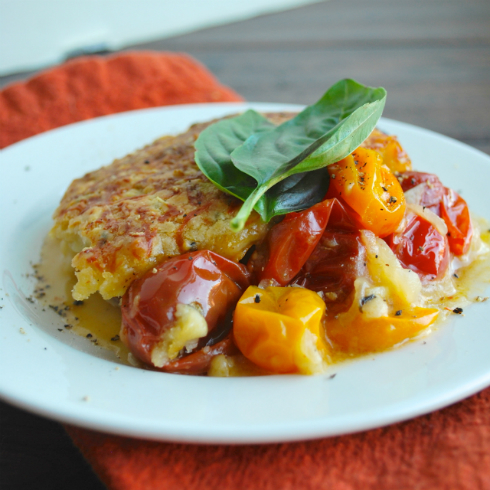 frico - or baked crispy cheese - makes for a delicious crunch in addition to the creamy textures in this salad. frico, i found, is the best addition to any salad. they make a great gluten free alternative to croutons, or if you typically add soft cheese to a salad like chevre, try frico instead! preheat oven to 425. toss sliced carrots in 1 tablespoon olive oil, salt & pepper. bake for 20 minutes or so until fork tender. finish under the broiler for another 5 minutes until a bit crispy. let cool and turn the oven down to 375. in the mean time, shuck your peas and make a dressing with citrus juice, olive oil and spices. to make the fricos, shred cheese (you can really use any type of hard aged cheese and you can also add herbs or lemon zest to add flavor if you are so inclined). 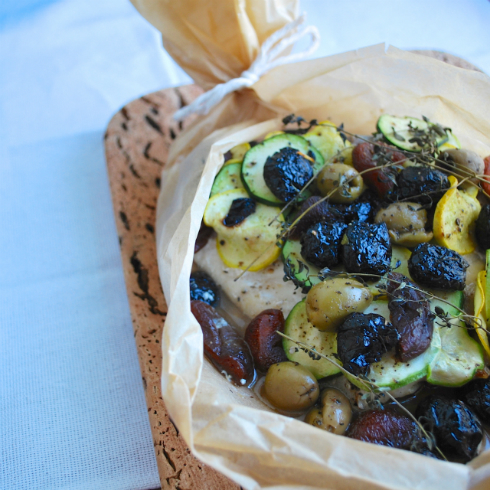 line a cookie sheet with parchment paper and lightly brush the paper with olive oil. pile a few tablespoons of shredded cheese on the sheet, leaving a few inches of space between each mound. the higher your mound, the more solid your frico will be. if you like a more latice-like frico, spread out the cheese a bit more. bake for about 10 minutes, watch closely though and bake until just lightly brown. let cool and remove from parchment paper using a thin spatula and let cool on a paper towel or serve directly onto salad. 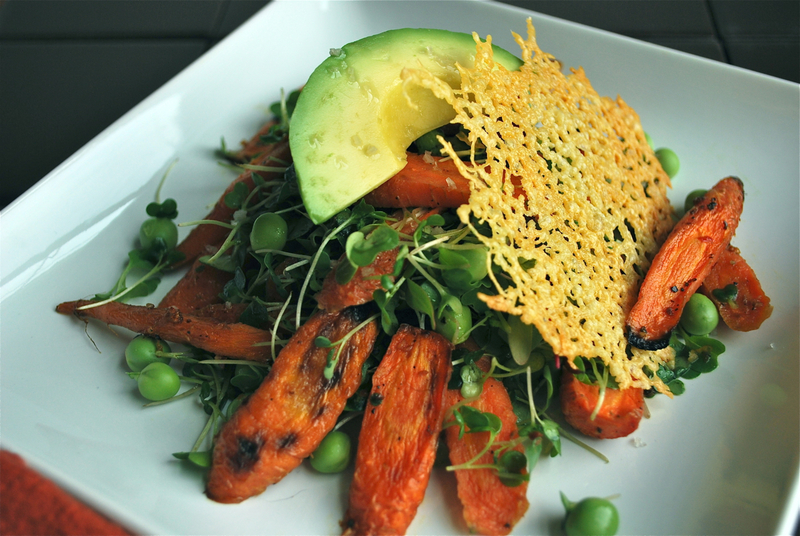 to assemble salad, toss together peas, carrots & micro greens with a light amount of citrus dressing. top with a wedge of avocado and either a full frico or frico crumbles. such great spring flavor! this was my first ever home-made soufflé. terrifying? not really. the recipe takes a bit of time and i'm sure i would improve with practice, but i was overjoyed by the delicious results. here are a few tips i learned from assisting brandi's soufflé cooking class at the pantry at delancey. brilliant woman. 2 - butter your ramekins and sprinkle the walls of the ramekin with finely grated hard cheese like parmesan. this will give your soufflé some texture to grab onto as it climbs the walls of your dish. 3 - 'sacrifice' about one third of your meringue to fold into the custard mixture. this way when you fold in the remaining meringue, the two consistencies will be a little bit closer together. 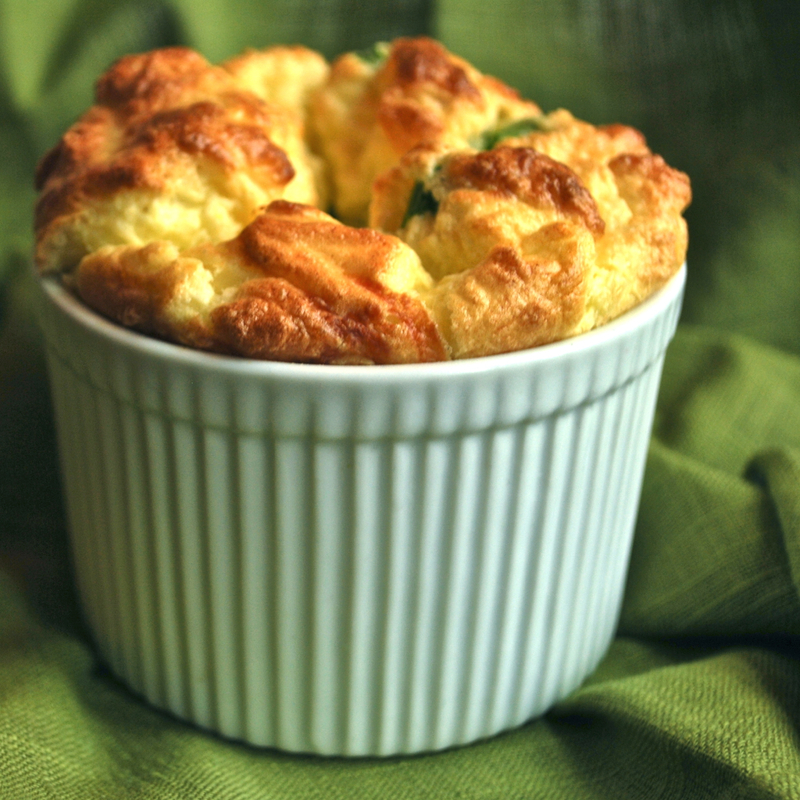 savory asparagus & swiss cheese soufflé - great for breakfast, brunch, lunch or dinner!! preheat oven to 400 degrees. position rack in lower third of oven. prepare either a large 6 cup soufflé dish or 4 individual dishes - butter each heavily and sprinkle a tablespoon or two of grated parmesan cheese in dish. tilt and toss the cheese around to coat the sides and bottom. melt butter in a small saucepan and add the flour. whisk constantly to dissolve lumps. cook for about 5 minutes and then take off of the heat. add milk and whisk to dissolve lumps once again. then return this mixture to the heat and cook and whisk for another 2-3 minutes. remove again from the heat, add spices and salt, then whisk in one egg yolk at a time. move this custard mixture to a large bowl, add the shredded cheese and let cool for about 10 minutes. (i hope you have an electric mixer... hand mixers are best as they will get to the bottom of your bowl unlike a kitchen aid) start beating your egg whites until stiff but not dry. to test for the perfect consistency, your should be able to use your whisk to stir the meringue - pull it strait up and out - turn the whisk over - if your meringue makes a firm little peak, perfect! if it flops over, keep beating. check frequently! the line between under and over beaten is very fine. fold 1/3 of the whites into the custard base along with the asparagus rounds. gently fold just a few times until combined. then fold in the remaining egg whites. fold slowly. do not over fold! there will be chunks of white left over, just poke at those to dissipate them. did i mention to not over fold it? it will start to get more soupy the more you mix. try to keep it pretty dry and fluffy! transfer batter to prepared dish(s) right to the brim. place dish(s) on a cookie sheet and place in the oven. immediately reduce the temp to 375 and bake for about 25-30 minutes. try not to open the door for the first 20 minutes! you will know it's done when the center is firm and not too giggly. serve immediately! my mom always asks for a home-made meal for mothers day (and her birthday or christmas for that matter). of course, this is my favorite gift to give, but this year i stumbled upon a book that reminded me of my family in so many little ways... i had to buy her a gift! this of course, did not replace the home-made meal. the book, 'the doorbells of florence' is a collection of adorable photos of doorbells in florence italy paired with fictional short stories about the people behind the doorbells. not only is this a perfect light read for our family vacation to italy this summer (how fitting!) but the historical architecture and vintage fixtures are things both my parents love! i appreciate so many things about my mother. for example, thank you mom for buying a new boat just in time for our sunny spring weather. 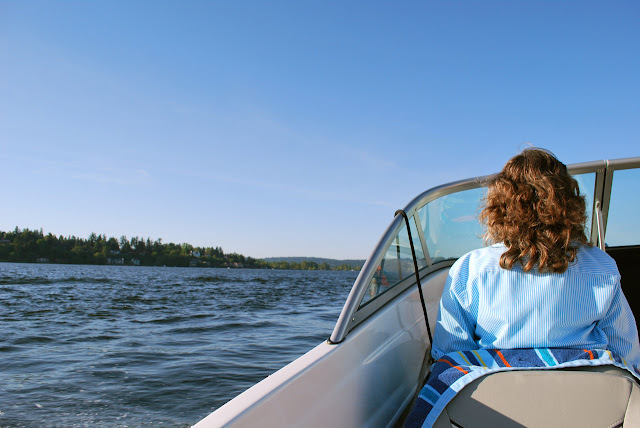 what better place to host a picnic than in the middle of lake union floating on a boat? 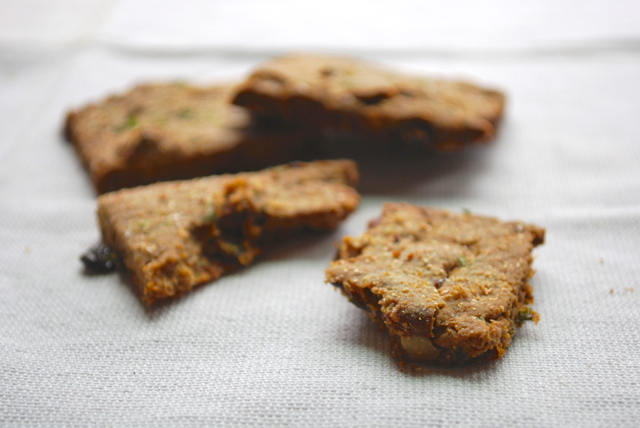 i tossed together a quinoa salad and baked some coconut & macadamia nut short bread cookies. delicious. 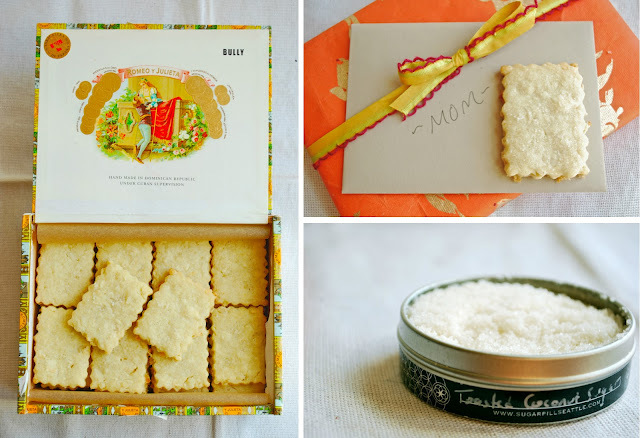 *this recipe makes a fairly small batch, i doubled it so that there were extras to gift to my mom, sister and save some for myself. my cat also nibbled away at one. cream together softened butter with sugar. add egg and blend. add remaining ingredients and stir until it forms into a ball. place the dough in wax paper and chill in fridge for 30 minutes (no more, no less! if you leave it in longer, be sure to let it sit out at room temp for 20 minutes or so to soften so that it doesn't crumble apart when you roll it out). powder both sides with flour and roll to 1/4 inch thickness and cut to size or use cookie cutter. another option is to roll the dough into a log, chill it for 30 minutes and then cut thin slices from the log to form the cookies (a little more tricky to make them evenly thick) place cookies on a parchment lined baking sheet. sprinkle with a little sugar if you like (i used a toasted coconut sugar gifted to me by my sister) bake at 350 for 20 minutes or until the edges are barely brown! check the under sides of the cookies before you pull them out - they should have just a little color and not too toasty. cool on a rack. store in a tin for up to a week. who knew a cigar box would fit my cookies so perfectly?? my family celebrated easter together this year with a frittata brunch complete with fresh baked scones on a porch in the sunshine. after brunch we all sat around and decorated eggs with great detail - clearly my sister and i have come a long way from the goofy sticker covered eggs we decorated as children. 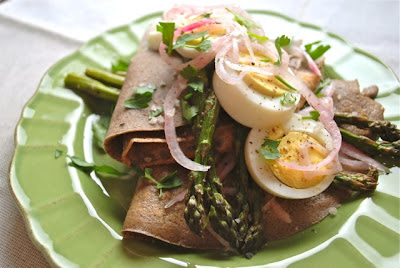 so now, with a surplus of hard-boiled eggs in my fridge, i decided to feature them in a savory spring crepe! before you make your crepes, prep your vegetables and eggs. first, thinly a 1/2 small red onion and cover the slices with white vinegar - you can also add dried dill to the mix if you like! let the onions pickle for at least a half hour - longer if possible. when ready, preheating your oven to 425. drizzle a little bit of olive oil over, salt and pepper your asparagus and massage the spears with your fingers to coat. bake until lightly charred and 'fork-cuttable.' set to the side. at the same time you can also boil your eggs. put raw eggs into a small sauce pan and cover them with water. bring the water to a boil and then take the pan off the heat. cover and let sit for 10-12 minutes. drain off the hot water and add cold water to the pan. add ice cubes. 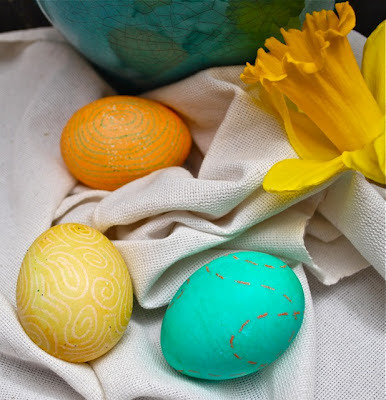 once cooled, peel the eggs and cut into thin 1/4 inch slices. *this recipe made a very large batch - which is fine if you want leftovers, but i would probably suggest cutting it in half if your are cooking for 2-4 people. combine all ingredients in a blender, let sit for at least 30 minutes. heat a large frying pan with a small amount of butter (or ghee!) pour 1/4 cup or less of of the batter into the pan - giggle it a bit to spread the batter thinly - and cook at a low/medium heat until the edges start to curl a bit and you can easily flip the crepe to cook for a minute or two on the second side. put the finished crepes on a paper towel while you continue cooking the other crepes. you can store your leftover batter in the fridge and use it over the next couple days if you like - just whisk it up a bit before using. simple! to assemble... smear some cheese in your crepes and fold in fourths. 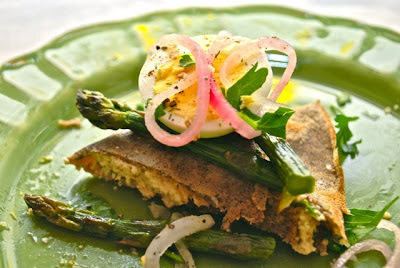 pile on some asparagus spears, boiled egg slices, pickled onions and sprinkle with chopped parsley, salt and pepper.